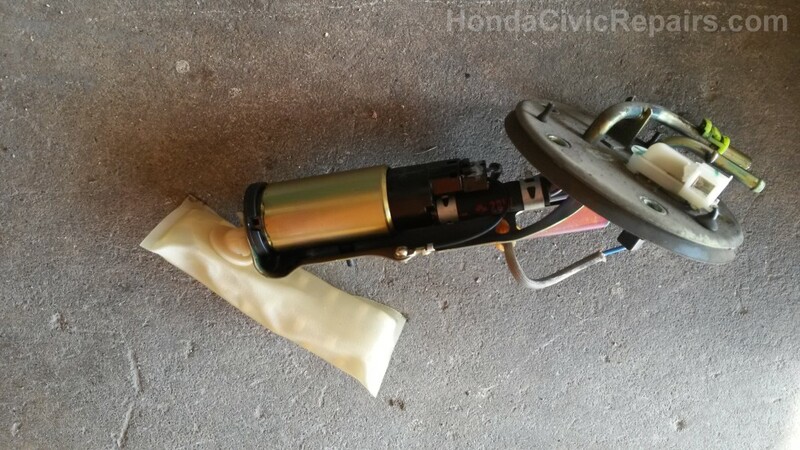 Prior to discovering that my ECT sensor was faulty and the primary reason for causing my engine to fail to start, I initially suspected that my Fuel Pump to have been the culprit. 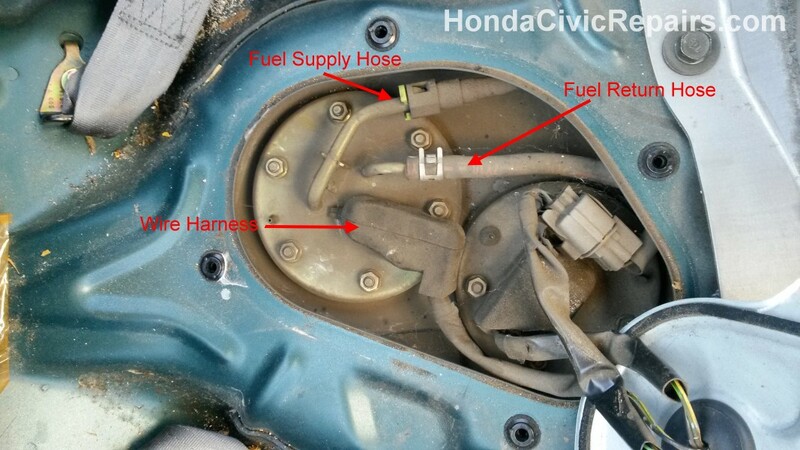 But after replacing it, I quickly realized that the Fuel Pump was in fact, not the actual source of the problem. 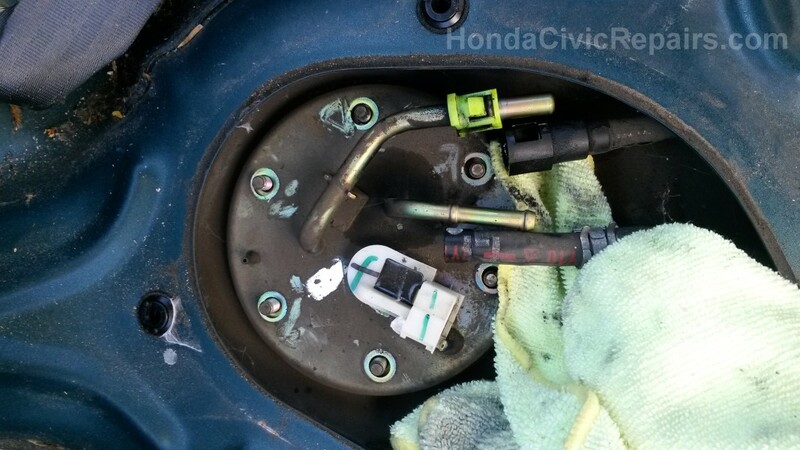 Nonetheless, I still learned how to replace my Fuel Pump and can now share my experience. 2. 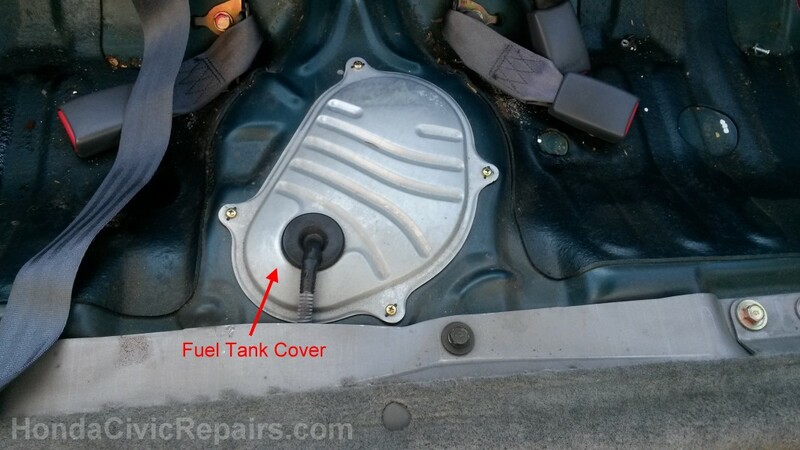 Removed the Gas Cap for the Fuel Tank to help relieve pressure. 4. Used a 10mm box wrench with a towel on top to remove the Service Bolt. 5. Screwed one end of the fuel gauge line into the service port. 7. Pressed on the pressure release valve on the fuel gauge. 8. Started the engine and measured the pressure gauge reading while on idle. 9. Shut off the engine. The pressure reading should sit between 28 psi - 36 psi. Apparently, my reading landed right along the 36 psi mark which falls within the border of being normal. But since I was curious and had already purchased the new fuel pump, I figured it would still be a good experience to replace the fuel pump. 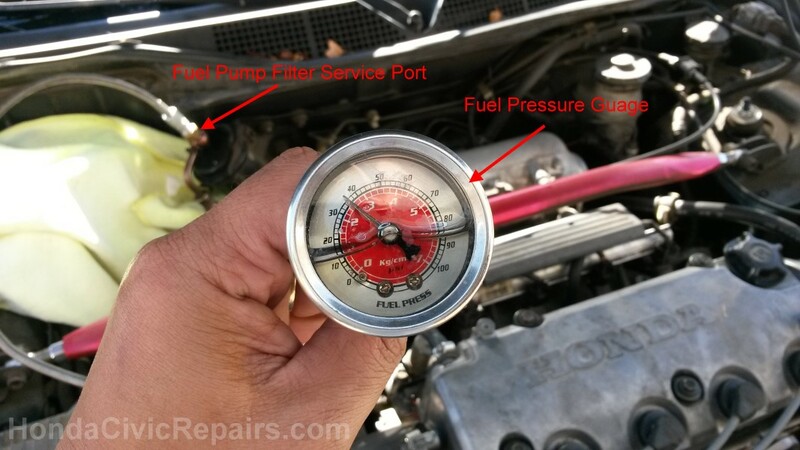 Removing the fuel pressure gauge was as easy as starting from step 7 and working backwards performing the opposite tasks. 3. 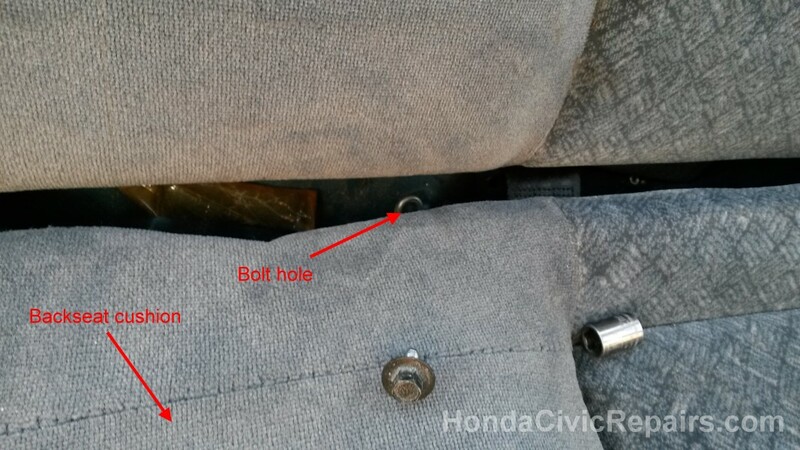 Removed the bolt behind the back of the rear seats. 4. Lifted the rear seats to unhinge the front latches. 5. Removed the rear seat to expose the fuel tank cover. 6. Removed the screws from the fuel tank cover. 7. Prepared towels around the fuel pump assembly cover. 8. Disconnected the electrical harness. 9. Disconnected the fuel supply hose. 10. Disconnected the fuel return hose. 11. 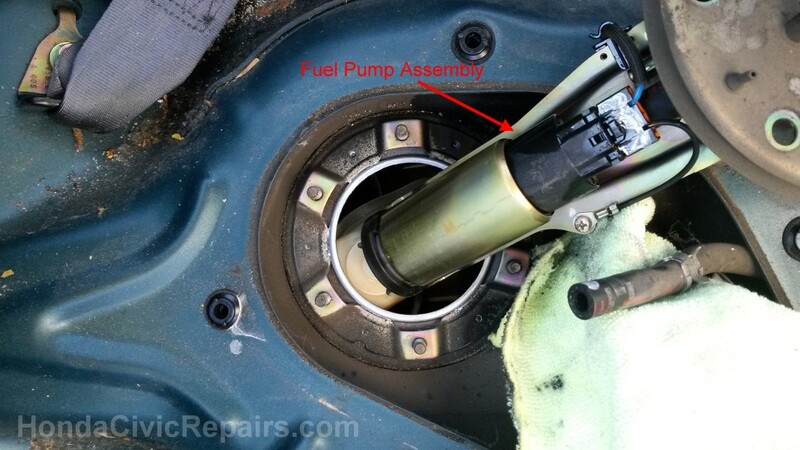 Removed the bolts holding down the fuel pump assembly cover. 12. Carefully lifted and removed the fuel pump assembly. 13. Disconnected the wire harness from the fuel pump. 14. Pinched and moved the hose clamps to remove the hose from the fuel pump. 15. 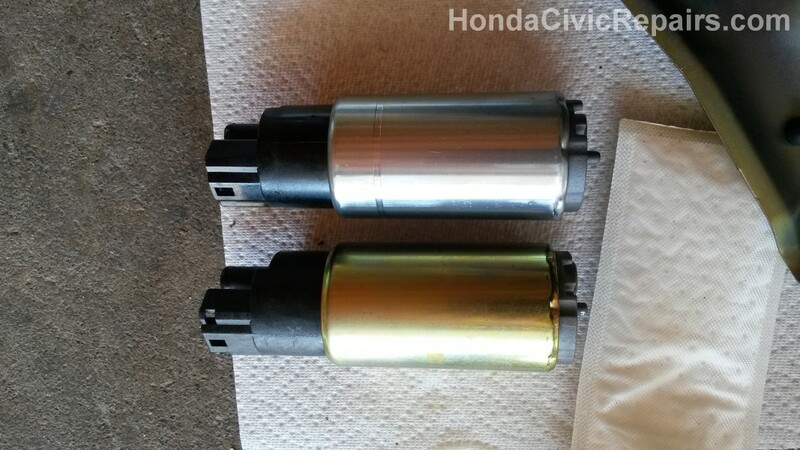 Removed the fuel pump filter from the fuel pump. 16. Removed the lock washer from the fuel pump to remove the rubber cover. 17. Removed the the old fuel and replaced with the new fuel pump. 18. Returned the rubber cover over the fuel pump. 19. Returned the lock washer in place. 20. Returned the hose and hose clamps to the fuel pump. 21. Reconnected the wire harness to the fuel pump. 22. Performed steps backwards from step 12.